1. Rinse and chop the kale. 2. Saute the minced garlic in olive oil for a minute, until softened. Add the kale and sumac and cook for a few minutes until wilted. 3. Chop the cashews finely. 4. Remove the kale from heat and season with sea salt. Sprinkle cashews on top. 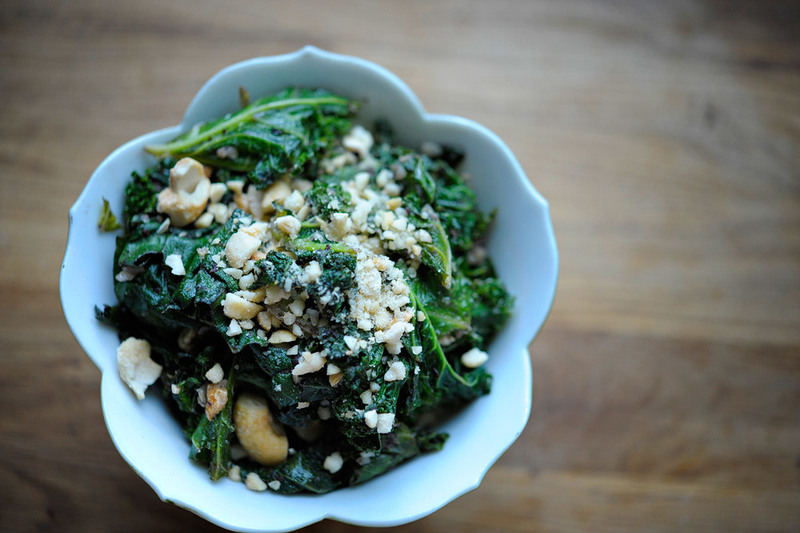 Kale is one of our favorite vegetables because it is a great source of antioxidants and anti-cancer properties. In particular, kale contains indole-3-carbinol, which is a powerful compound that helps the body metabolize and remove dangerous forms of estrogen.